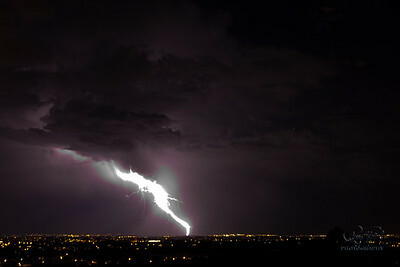 This storm was the start of the High Park Fire in Fort Collins. 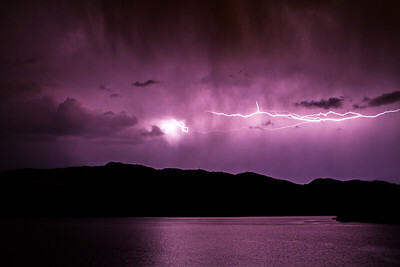 Lots of lighnting over Horsetooth Rock and Reservior that evening. 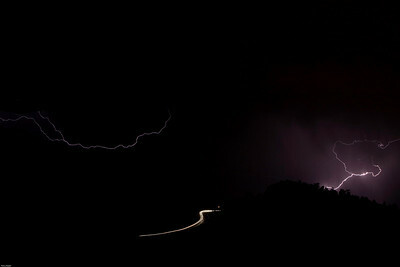 The High Park Fire was cuased by a lightning strike west of this location. Another Colorado afternoon Thunderstom that happened in the evening. I took this facing north and the lights bottom middle are cars driving East of Horsetooth Reservoir. I had the shutter open for 30 seconds and it captured 2 different lightning strikes. 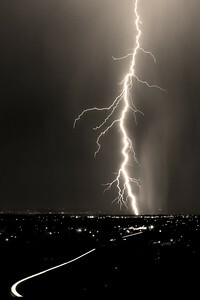 A large cloud to ground Lightning Strike over Fort Collins, CO. I was just west of Fort Collins near Horsetooth Reservoir. 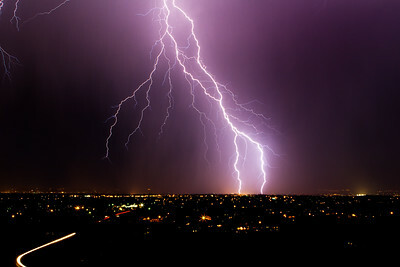 There was a large lighning storm over the town. This was close to the end of the storm but a huge strike.